By Connie Diamond. Nov 23, 2015. 9:00 AM. Every once in a while the literary world produces a creative genius who, despite initial impressions, defies definition. Shel Silverstein was such a genius. One can find his poetry collections artfully and prominently displayed in the children’s section of any bookstore or library and stacked on pint-sized carts in kinder classes everywhere. Read any one of them with a listening child, and watch the “light in the attic” go on as she discovers a kindred spirit who is full of dreams and fond of silly. Little ones relish the absurdity in his poems and lean in for more, as with the fun uncle who pulls quarters from behind their ears. The simple pen and ink drawings hearken back to Silverstein’s early career as a cartoonist, and his rhythmic language to his early success as a musician and lyricist. Both of these creative endeavors shed light on his ability to use simple forms to express complex and profound lessons—lessons that children should be taught for the first time and adults should be reminded of again, and as many times as necessary. 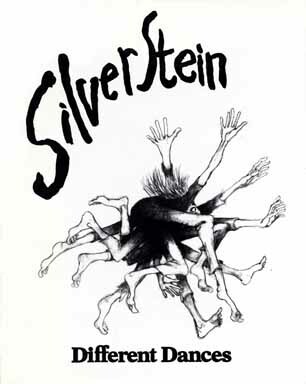 Let's explore these lessons for grown-ups with the help of excerpts from some of Silverstein's most renowned writings. 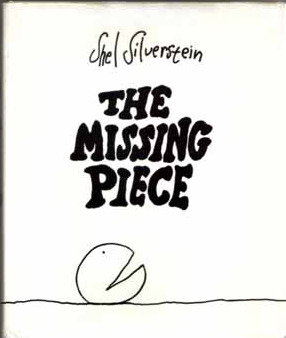 In “Masks”, Shel Silverstein, with eight lines, reveals the root of loneliness. The two blue-skinned characters hide the defining characteristic in themselves, and then search fruitlessly to find its match. They fail to connect with one another and continue to journey alone. The poem also warns that a lack of self-acceptance precludes acceptance by others. Unless we share our authentic selves with others, we can never truly be in relationship with them. The eight lines that comprise “The Voice” speak of independence and empowerment. There are all kinds of influences in the world that can script one’s decisions and behavior, but there is a quiet sense of self that deserves to be heard because it is truly the wisest voice. Of all the things we can outsource in life, defining ourselves is not one of them. “Adulting” is a term that has come into vogue as of late. The general consensus among twenty-somethings is that “adulting is hard.” Sometimes the voices of authority in our lives are oppressive. Sometimes they are sought after. Sometimes they are both. Silverstein encourages us to quiet them and engage in the solitary and challenging work of self discovery. then listen close to me. Anything can be. —"Listen To The Mustn’ts"
The bulk of this poem is about limitation, but somehow the uppercase imperatives at the beginning are overpowered by the emphatic whisper at the end that “Anything can be.” It reads like a secret shared from someone who knows from experience that possibilities are endless. The author tells the adult reader to examine the why and the why not of an idea, and to see opportunity where others see obstacles. Was a great thing ever accomplished any other way? One of Shel Silverstein’s best-selling books, amid a plethora of award-winning titles, is The Giving Tree. The simple, and now iconic, drawings of the Boy and the Tree as the one ages and the other divests itself of all its gifts illustrate what selflessness requires. The simple refrain, “and the tree was happy” illustrates what selflessness can accomplish. The little green book has been enjoyed by children who have had it read to them so repeatedly that they know the refrain by heart. They may even fool themselves into thinking that they have in fact learned to read. Ain't no ceiling, only blue. I dwell here… and so do you. —"Enter This Deserted House"
Does anything hold more intrigue for a child than a deserted house? When a space is abandoned, it needs an explorer, an occupant, and a caretaker. It allows for ownership and freedom—two things that are in short supply when one is very young. This deserted house, however, is particularly special. With its blue ceiling, floor of flowers and many inhabitants, we understand that the house is planet earth. It is home to creatures great, small, winged, and magical. Finally, Shel Silverstein reminds us that we dwell there too—not over, but amid the others and hence entreats us to “enter”, but to “walk softly”. 'Okay,' says I, 'I'll give it a try. 'Gimme back that wheel,' says God. 'I don't think you're quite ready yet. There is a place where the sidewalk ends and before the street begins, and there the grass grows soft and white, and there the sun burns crimson bright, and there the moon-bird rests from his flight to cool in the peppermint wind. Let us leave this place where the smoke blows black and the dark street winds and bends. Past the pits where the asphalt flowers grow we shall walk with a walk that is measured and slow and watch where the chalk-white arrows go to the place where the sidewalk ends. Yes we'll walk with a walk that is measured and slow, and we'll go where the chalk-white arrows go, for the children, they mark, and the children, they know, the place where the sidewalk ends.